In the Netherlands, as with most countries in Europe, almost everyone who manages to complete an undergrad degree goes on to do a master’s course. Over the past decade, universities have gradually realised that the in-depth specificity of post-grad education means that bachelor’s courses need not be so constraining in terms of subject choices. Couple this with an increasing desire to boost international applications by teaching courses in English, and you have the University Colleges: small, American-style honours colleges that teach a liberal arts curriculum for three-year undergrad degrees, entirely in English. Arising at exactly the moment of British universities’ greatest crisis, the Dutch UCs seem like the perfect solution for anyone looking to escape the UK but unable to make it to America. Some might even say they have certain advantages over their American competitors (cough cough, cost). The UC option is perfect for anyone seeking to throw off the shackles of the single-subject undergraduate system that pervades higher education in the UK and throughout Europe. The aim is to develop intellectual horizons and views of the world. Students love the broad curriculum, covering all major disciplines, particularly those who are still figuring out where their interests lie. Be warned that the first year will generally consist largely of obligatory prerequisites – annoying if you find them dull or difficult. In the second and third years, however, a wealth of optional courses opens up, allowing you to delve into whatever takes your fancy. Some joke that choosing your courses can be harder than taking them. There are three major tracks: Science, Social Science and Humanities. You’re supposed to major in one and minor in another, though you can continue to take courses from all three. Overall, UC academics normally involve a large workload – like their US counterparts, they operate under the intensity of the work-hard-play-hard mantra. Terms are shorter but required credits are the same as at the normal unis. Extra-curriculars are plentiful. Courses are typically lecture-based but with small classes (20-30 max); participation is encouraged and in fact often graded. You’ll get to know your teachers very well. There are also lots of essays and lots of group-based work, including student presentations. With small student bodies (most are 500 - 1000), and usually communal living areas, the UCs foster friendly and very close-knit social environments. Most of them have a central common room or bar on campus, where students can hang out and feel cosy. This familial atmosphere is a big draw. Despite being attached to a major university, UCs are usually quite autonomous and may not interact very much with the main institution. They are incredibly international, often with 40-50% or more of the students coming from abroad, and even the Dutch students tend to have some kind of international background or are at least well-travelled. Many are “alternative” and left wing, but there’s little social pressure to conform, and enough diversity to allow students of any disposition to fit in. Although somewhat confined, students say that they never feel their social life is too repetitive or stagnant – it’s always possible to meet new people. There is normally a lot of on-campus student activity and group involvement. Most UCs will finance any worthwhile idea that you can come up with, so there’s a great range of events and student associations. The first UC (Utrecht) was founded in 1998, so they’re all relatively recent. This comes with advantages and disadvantages. Some aspects can be a little underdeveloped or not yet worked-out properly, but at the same time there’s lots of opportunity to voice ideas for change and improvement, and a high chance of being heard. 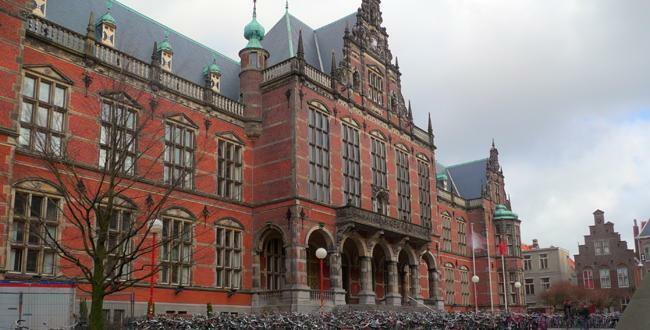 A student at Amsterdam UC (founded 2008) told us the administration holds course evaluations twice per semester, and student feedback is taken seriously and acted on. The admission process is very friendly to Brits, consisting principally of a “motivation letter” and an interview (via phone or in person in the Netherlands – the latter is recommended), in which you will be asked fairly standard interview questions, perhaps with some focus on your interests and anything you mentioned in your letter. The aim is not to uncover academic brilliance, but to find students who are motivated, curious and enthusiastic about the UC model, to make sure the institution is right for you and you for it. Still, entry is not a shoe-in, with about one place available for every four students (much harder than admission to the normal Dutch universities), so work hard on your application. You will be competing with increasing numbers of Brits who are discovering the UC hidden gems at an ever-greater rate. The system is mostly hassle-free, but there are some bureaucratic hurdles to jump, and we hear they’re very strict on deadlines. There are always good discussions of the application process and everything else to do with Dutch unis at the Student Room forums.